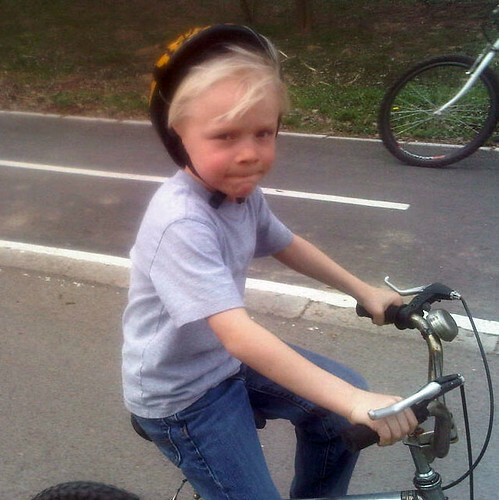 Oliver is shown above riding his bike at Ada Ciganlija this weekend. He comes home everyday from school and goes directly to his bike to ride up and down our “L-shaped” street. Owen learned to “skid-out” his bike last night. He is turning into a real “dude.” The boys ride up and down and Ocean tags along in her tricycle. It will be great to get the whole family biking. When we head to the bike trails at Ada, we still need to rent a “rickshaw” or bike carrier. Hopefully this weekend we will be able to ride the bikes a bit more and go over to New Belgrade where there are plenty of new trails to explore.